Did you know that steeping coffee grounds in cold water cuts down the acidic taste and also helps bring out more aromatic flavors? This is exactly why people are now switching to cold brew coffee me﻿﻿t﻿﻿hods. 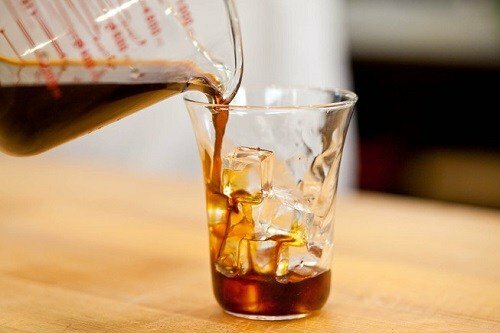 Unlike pouring ice over hot coffee, the cold brew technique does not make your drink last watery and stale. Easy to Prepare: This method of preparing coffee is easier to set up than the hot-brew method. Less Acidity: People who have sensitive stomachs or suffer from heartburn are likely to benefit from this brewing method because of the low acid content. This reduces stomach discomfort and makes it possible for everybody to enjoy coffee despite their health problems. Tons of Recipes to Choose From: Once you have prepared the cold brew concentrate, you can make a whole range of recipes. You may add sugar or cream if you are making a morning drink or simply some sparkling water for a summer spritzer. Longer Shelf Life: Did you know that cold brew coffee has a longer shelf life and can last up to 7 to 18 days in the refrigerator. If you have a hectic job or are often in a rush in the morning, opting for cold brew coffee can be your savior. This is a highly important factor especially if you intend on brewing large volumes of coffee every day. Invest in a coffee maker that will allow you to make sufficient amount of coffee for you and your family. However, keep in mind that brewers with larger circumferences usually take up a lot of area in the fridge, which makes storage difficult. Additionally, ensure the glass carafe is not too tall or else it might not fit on the shelf of your fridge. Coffee enthusiasts who have less space to work with should opt for brewers that aren’t tall and have a slimmer profile. You may also opt for units that combine the serving carafe and brewer together to save more space. Paper Filters: Paper filters are meant for one-time use and are tossed in the trash after brewing. Paper filters remove oily components known as diterpenes which are commonly found in raw coffee beans. While each paper filter only costs a few pennies, costs are likely to add up in the long run, making paper filters a costly option. However, on a positive note, they are biodegradable and do not collect bacteria or residue from frequent use. Metal Filters: Permanent coffee filters are designed to be washed and reused and are usually made from gold or from some other type of metal. Permanent filters can cost around $10 to $30 depending on the material they are made from. With proper use and maintenance, these filters can last for years and are generally a great investment to. However, on the downside, you would have to clean it up after every use. Mesh metal filters are generally the best option as they minimize waste and are easier to clean. 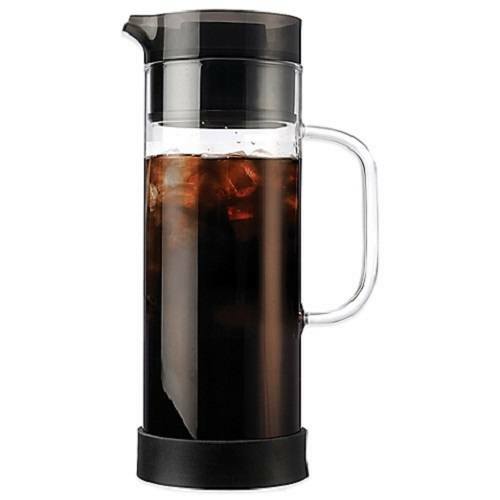 Overall, the Takeya Cold ﻿﻿Brew ﻿﻿Iced Coffee Maker is a great purchase, especially for students and coffee enthusiasts. The product is a #1 bestseller on Amazon, hence it clearly out beats a lot of other cold-brew coffee makers in the market. 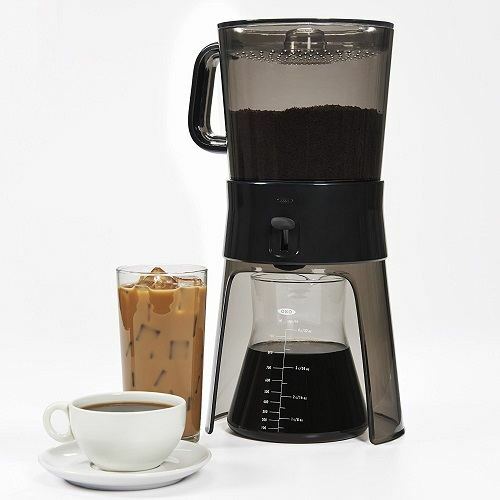 With a non-slip silicone handle and a leak-proof lid, the Takeya Cold Brew Iced Coffee Maker drastically improves one’s coffee making experience. 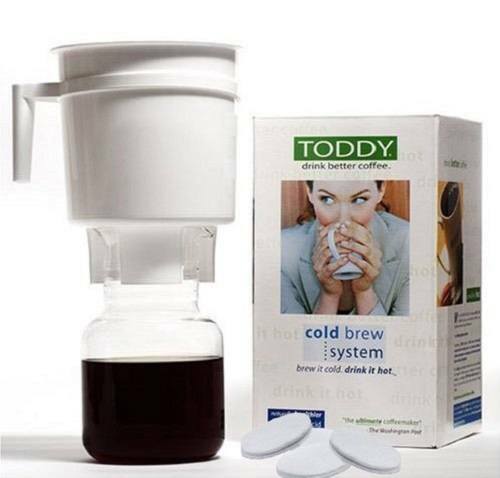 This coffee maker is great for any novice who is on the lookout for an easy to use coffee maker, with a patented cold brew system, the Toddy ﻿﻿﻿Cold Brew Coffee Maker is great for novices. What’s best is you do not need electricity to brew yourself a perfect cup of coffee. You can also use this coffee maker to make delicious cups of tea and iced coffee. If you are a beginner who has just started their coffee journey, check out Toddy’s website. The website includes tons of recipes and resources including FAQs on their website. This makes using the coffee maker easier and hassle free. 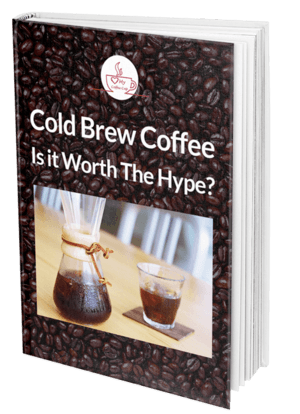 Looking for an excellent cold brew coffee maker? 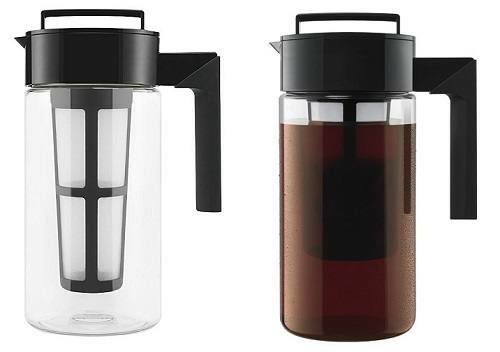 Perhaps you should invest in the OXO Good Grips Cold Brew ﻿Coffee ﻿Maker. Not only is the coffee maker easy to use and clean but it drastically improves your coffee making experience. With a stunning borosilicate glass carafe, stainless steel mesh filter, the OXO Good Grips Cold Brew Coffee Maker is the right investment. The machine features a unique rainmaker system that evenly distributes water over the coffee grinds. This allows coffee enthusiasts to make delicious cups of steaming hot coffee. 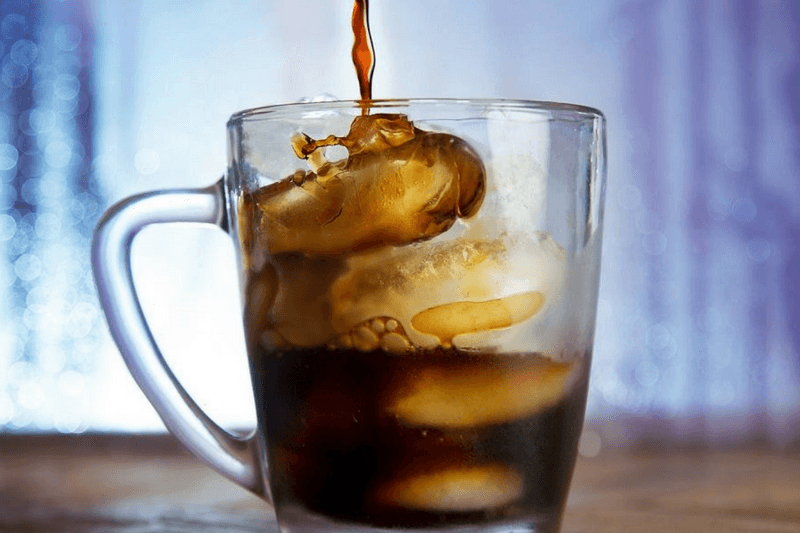 These are just a few factors you should keep in mind while investing in the best cold brew coffee maker. Once you opt for this coffee making technique, there will be no going back because of the rich, aromatic taste.